Personal evangelism is very intimidating for many people, perhaps for you as well. You want to share your faith, but fears stand in the way of your personal evangelism. To truly conquer your fear, start with simple evangelism habits. 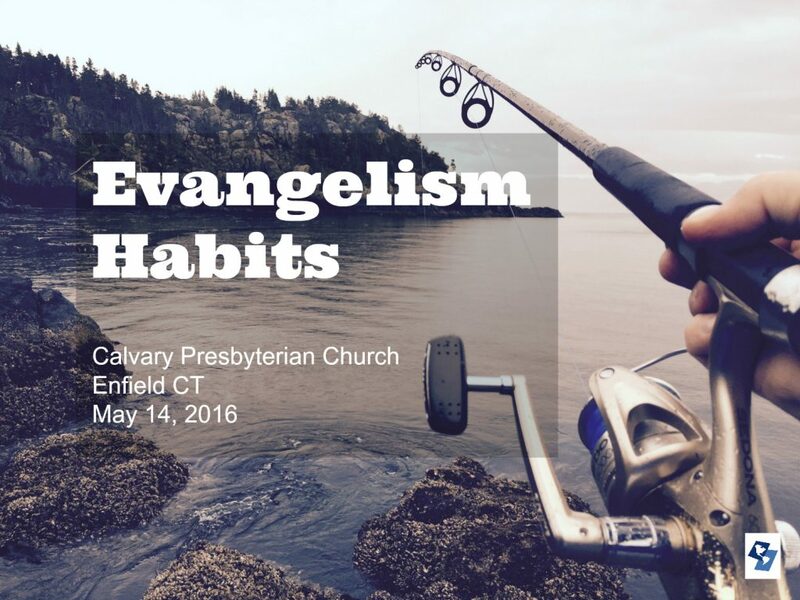 In other words, the key to personal evangelism is to do and in this seminar, Chris Walker will show you four habits that anyone can master. You will learn how to talk about your faith in a conversational way. It doesn’t matter what personality type you are, these habits will help you learn to share your faith in a natural and conversational way. These habits will allow faith sharing conversations to be a normal part of your daily life with people who are truly interested in the conversation. The Evangelism Habits seminar will help you overcome those natural fears and find fresh freedom in sharing your faith. Discover a compassion for the lost and learn how to share your faith. This seminar is designed to give you a clear understanding of personal evangelism which results in a compassion that swallows fear and equips you to be effective in everyday life. If you live in or near the area, you don’t want to miss this FREE event. . . .
Come to learn some of the practical ways Chris has discovered to share your faith out of his research, study, and first hand real life experience from serving as a local pastor, planting three churches and doing evangelism work cross culturally in 10 different countries. It is sponsored by Calvary Presbyterian Church. Chris has also recorded 2 CDs on church hospitality issues, authored 2 DVDs for training greeters, and a 3 DVD set on Breaking Unseen Barriers that keep your visitors from coming back. Plus, he’s recorded additional DVDS and CDs on personal evangelism. All resources will be available at the resource table.